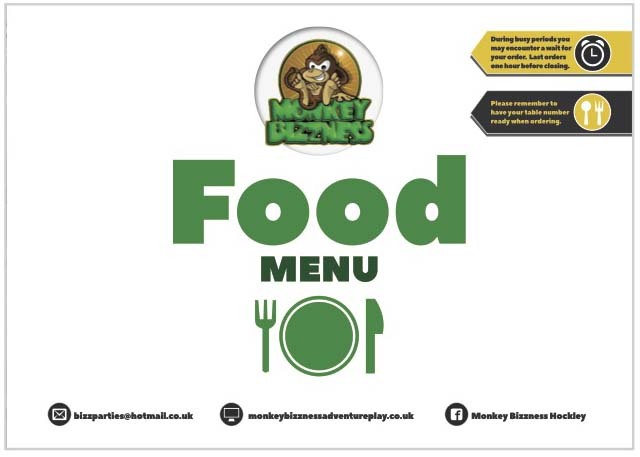 Monkey Bizzness is proud to announce the launch of the new Monkey Bizzness Cafe!! 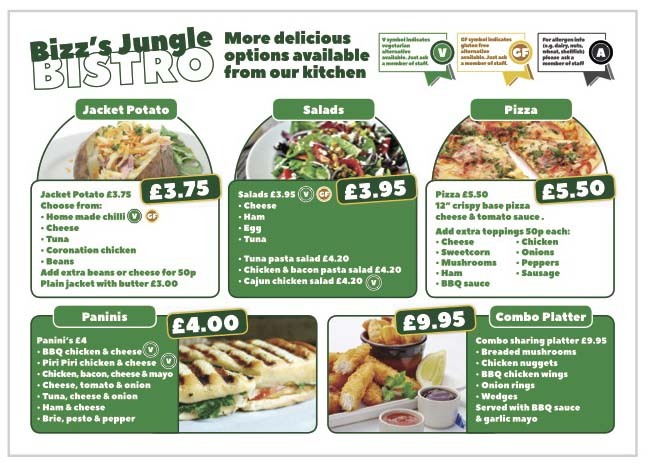 We've listened to your feedback and are pleased to present our brand new menu with something for everyone. 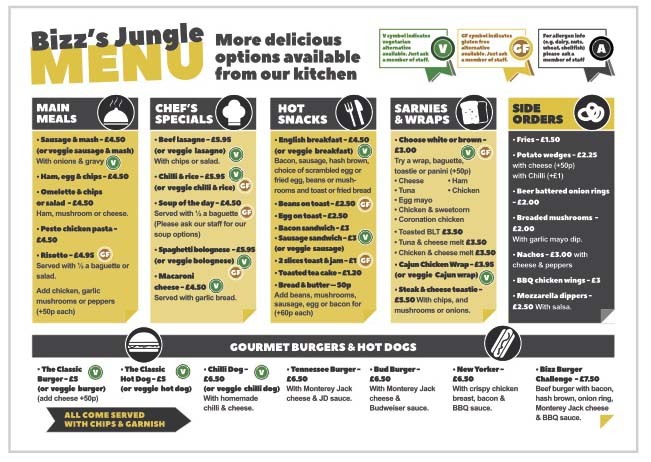 The new menu offers the best in fast, fun food at great prices and healthy sides, with tasty jacket potatoes, a range of freshly made sandwiches and an even wider range of main meals. 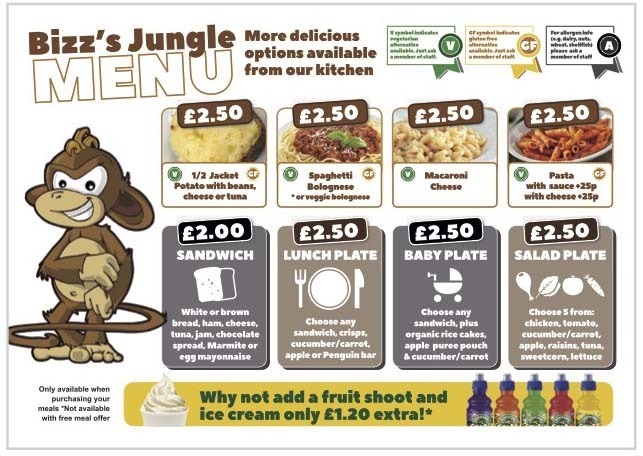 And for those morning visits, try out our new breakfast option to top up your energy levels. 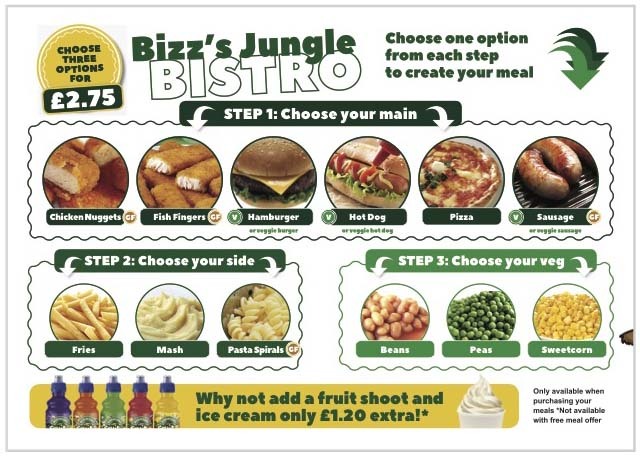 In addition to our fixed menu, there are also daily specials available and a wide range of hot and cold refreshments. 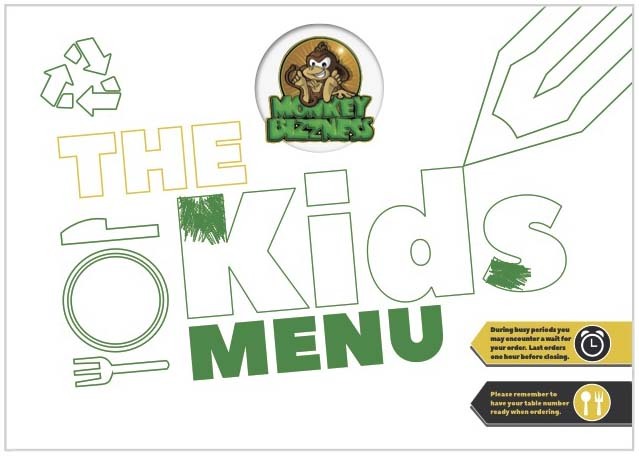 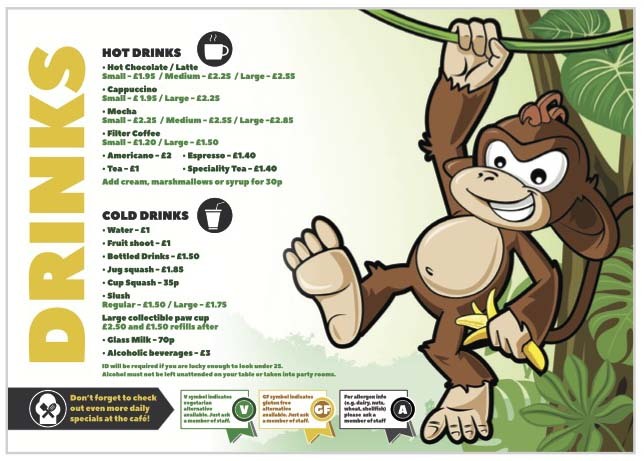 We've listened to your comments to create a new menu to make your time at Monkey Bizzness even more tasty!